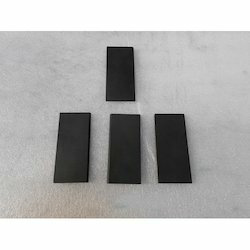 We are a leading Manufacturer of carbon vane blade from Navi Mumbai, India. Carbon Vane Blade & Rotors are made out of carbon materials (carbon graphite, carbon graphite metal impregnated and resin bonded graphite) to meet with different applications and requirements. Alkalies, Petrol or Aqueous Solutions. Material: Composite graphite(carbon fiber and carbon element).